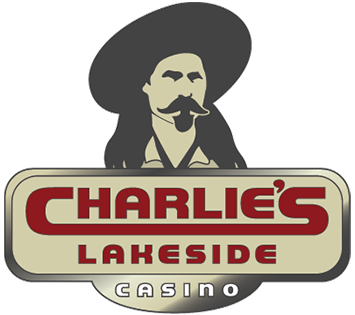 Join us at Charlie’s Lakeside, where great gaming, fun and friends come together with a relaxed atmosphere. A guaranteed “good time” each visit, making sure to offer you the best local service in an informal and relaxed atmosphere. Great food 24 hours a day, patio dining and a banquet room for your special events, 11 flat-screen TV’s so you can watch all your sporting events while you eat, drink and play. And if it’s gaming you’re into, we’ll keep you entertained and help you win big bucks with our Becker Gaming Player’s Card. Be sure to sign up for your card so you can participate in all of our promotions. Join us tonight! We look forward to seeing you! Best bartenders and management in town! Definitely stop in and visit here! Never an empty drink and they always take care of players. I always go here instead of the other dozen local dives that give borderline service at best… drink here first! The food menu is great as well, try the garlic fries. Also breakfast is great! Excellent wait staff as well..we’re big fans! Clean fresh and friendly. The bar tender Angela was great. Good food and hot poker machines.